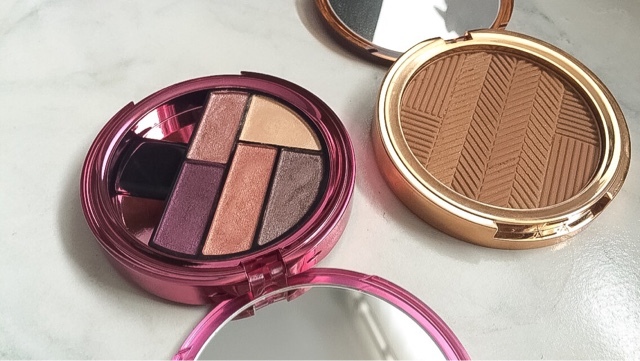 I was recently sent over the new Elizabeth Arden Sunset Bronze range and isn't it just beautiful? I am head over heels for the packaging. The Sunset Bronze range is limited edition and has just been released in the UK so grab it whilst you can. This eyeshadow palette contains 5 eyeshadows (all swatched above) that are all summer appropriate. This palette is right up my street because it is very pink and purple toned which suits my green eyes. The only thing that disappoints me about this palette is the fact there is no matte eyeshadow, but regardless all the shades are highly pigmented and look beautiful when applied to the lids. Unfortunately, I think the lightest shade which I have, has now sold out however the shade Deep Bronze is still available. This has become on of my favourite bronzers to use. It is so pigmented when applied to the skin and leaves you with a warm healthy glow and complexion. 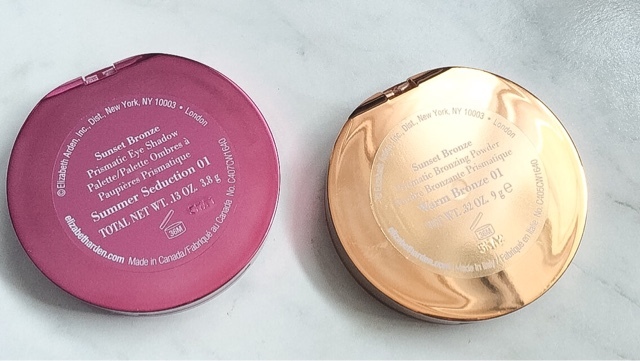 The design of the powder itself is absolutely beautiful - I am dreading when it wears off!! Again, one of the lipgloss have already sold out (Sunset Kiss) however, Midnight and Moonlight kiss are still available. All the glosses are extremely beautiful. Whilst they are very sheer on the lips there is a light sparkle running through them which reflects each colour. I absolutely love these and I can imagine I will get a lot of wear out of these when I go on holiday. 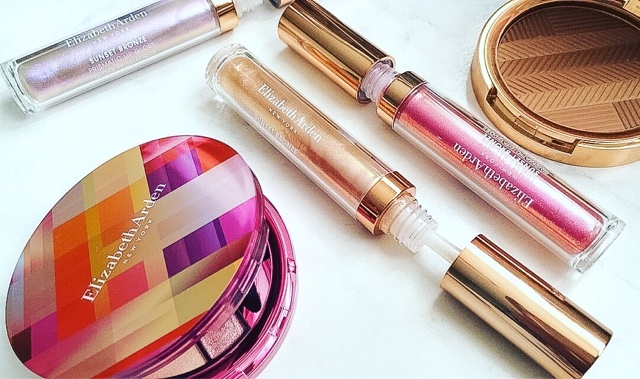 Overall, I think Elizabeth Arden's limited edition Sunset Bronze range is absolutely perfect for the summer months. Will you be trying any of these products out this summer?? The bronzer looks gorgeous! EA always have such pretty products. The packaging is so beautiful arghh! Lovely photos! I saw that bronzer the other day and nearly picked it up for myself.